There are more than 20 credit cards Issuers in Indonesia and these issuers have issued more than 150 credit cards types. Here are the lists of 153 Credit card from 21 Issuers in Indonesia. In Bahasa Indonesia, Credit card is called 'Kartu Kredit' and only those who has minimum salary 3 million rupiah/Month or about $ 205 USD can apply for a credit card. 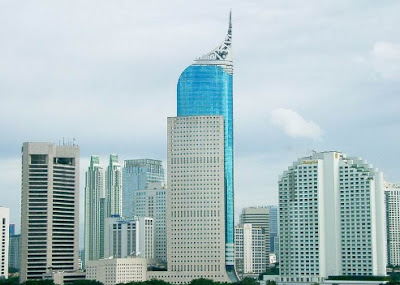 All credit Card Issuers in Indonesia are regulated by Bank of Indonesia. Here are some regulations of Indonesian Credit Card. Indonesia Credit Card Late Payment Fee must be 3% of the balance and maximum Rp.150.000 ($10 USD). Indonesia Credit Card minimum payment is 10% of the balance each month. Anyone with salary under 10 Millions Rupiah/Month only allowed to have two credit cards issuers. The Maximum of credit card limit allowed is 300% of the salary/month. Auto Installment Interest Rate is under 2%. All installment Tenors in Bank Mandiri cost with under 1% of interest rate. The most Famous credit card Networks in Indonesia are Visa and MasterCard. But there is also another local network,which is BCA Card network. Or you can apply an indonesia secure credit card in Bank Sinarmas, the requirements must be easier for a secure credit card.